Lenda has been involved in sports since junior high, when she started competing as a sprinter. In high school she was all-city (Detroit) in track, and was also a cheerleader. At Western Michigan University, she majored in Political Science, with a minor in English, and continued as a cheerleader. After graduating, she was a cheerleader for two years with the USFL's Michigan Panthers. Later, she tried out for the Dallas Cowboys cheerleading squad, and made the final 40. 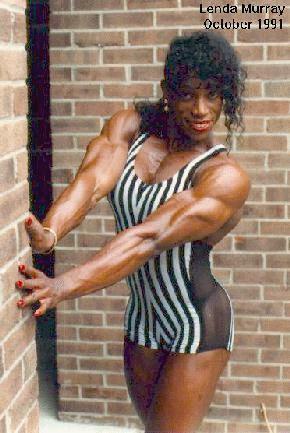 After that, Lenda decided to take up bodybuilding. After three months of training, Lenda entered her first competition at a bodyweight of 126 lbs. That was the 1985 Michigan Championship, and she finished 4th in the heavyweight class. Lenda continued competing in state level contests, finally winning the Michigan title in 1988; she is undefeated since. 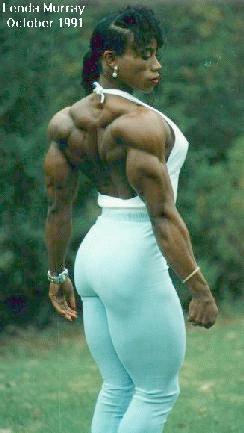 In 1989, she won the NPC Jr. Nationals (at 137 lbs.) and the IFBB North American Championship. With this last win, Lenda earned her pro card. In 1990, the IFBB decided that there had not been enough Ms. Olympia qualifying contest; consequently, any woman with a pro card was allowed to compete in the Ms. Olympia. Lenda entered and won, her first of five consecutive titles.